Please Note: the “a-g” course approval process only applies to California residents and only applies to the University of CA and Cal State system. All other colleges and universities do not use the “a-g” system. Students residing outside of CA can meet the requirements for entry into the UC or Cal State system by the other means listed below. Calvary Preparatory Academy recommends students desiring to meet the “a-g” requirements should do so by means of the “SAT subject requirement” or “combination” methods, rather than strictly the “a-g course list” approach. More info on the “SAT subject requirement” and “combination” methods to meet “a-g” requirements can be found by reading below or clicking here. Students may also fulfill option “d” by SAT/ACT exam, or by taking college courses while concurrently enrolled. ** These courses require completion of local “wet labs” at one of our participating locations (subject to prior approval). Courses Approved for the 2018-19 School Year. The following courses have been approved for the 2018-19 School Year. The UC Doorways has advised that students use the list from the current/previous school year as opposed to the upcoming school year. For example, if you are taking courses in the summer of 2018, select your courses from the 2017-18 a-g list, not the upcoming 2018-19 list. While Calvary Preparatory Academy does offer Common Core (CC) versions of courses upon special request, we have not adopted the Common Core Standards for our regular operations. Common Core versions of a-g approved courses are labeled with a CC as seen below. Unless specifically requested in enrollment, all courses taken at COS are not Common Core aligned classes. 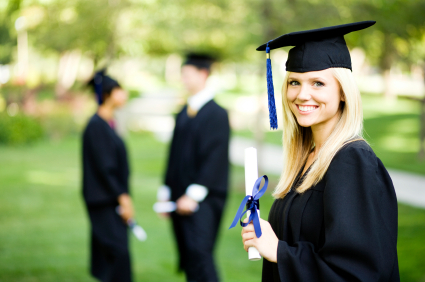 Students desiring to attend a Cal State or University of California college need to demonstrate proficiency in a variety of subjects prior to applying. This can be done in a variety of ways. 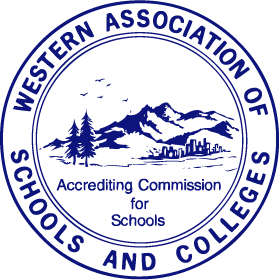 For students in California, their school can offer high school courses which are pre-approved to meet the “a-g” criteria. Calvary Preparatory Academy has been approved by the “a-g” system and all pre-approved courses can be viewed on the UC Doorways website: https://hs-articulation.ucop.edu/agcourselist#/list/details/3852/ . Another means by which students can meet the “a-g” entrance requirements for the UC and Cal State systems is to complete college courses in the subjects while concurrently enrolled as a high school student. Any student attending Calvary Preparatory Academy can also dually enroll at a college or university to take individual classes. The transcripts for each of these classes would count towards the student meeting the “a-g” requirements. In addition to taking pre-approved “a-g” courses at the high school level, or completing college courses in the “a-g” subject areas, students can also demonstrate their mastery of the “a-g” criteria by earning certain scores on SAT, Advanced Placement or International Baccalaureate exams. Finally, students can also demonstrate the completion of the “a-g” requirements by any combination of the three methods above. A student could take some “a-g” approved courses at the high school, in addition to college courses, and passing scores on the SAT or other exams. To learn more, please visit the UC website directly by clicking here. In order to receive recognition on the transcript of having completed one of the “a-g” approved courses below, a student must take all unit and final exams under the supervision of a proctor. Please review the Exam Proctor Affidavit for more information.